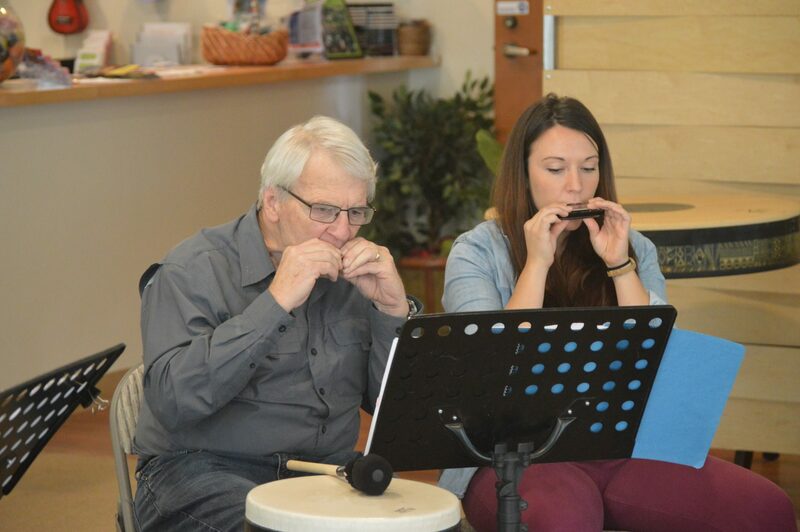 Harmonica group for People with Parkinson’s and Care Partners engages people in harmonica playing to increase lung capacity and breath control, build self-esteem, and encourage socialization. 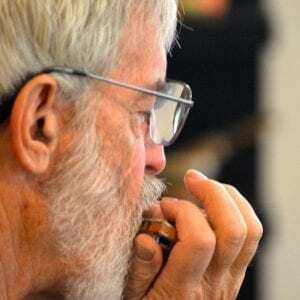 The harmonica is a fun and accessible instrument to play, and in this 12-week course, participants learn breathing exercises, harmonica warm-ups, and a varied harmonica repertoire. Harmonica ($10) and book ($25) not included in class fee. 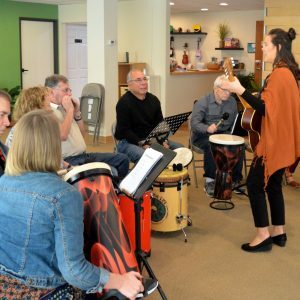 Music therapy, an engaging, interactive, goal-focused and fun therapy, has been shown to be an effective tool in improving cognitive, speech, motor, and social skills as well as increasing quality of life for People with Parkinson’s and their Care Partners. At MusicWorx, we offer several music therapy programs for People with Parkinson’s and their Care Partners to meet varying needs and abilities. 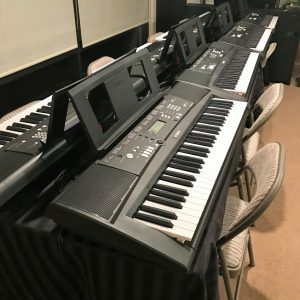 On top of the many group programs that MusicWorx offers, there are also opportunities to take private harmonica, piano, vocal, guitar, and ukulele lessons that are adapted based on individual learning style, ability, and need. Parking lot behind the building. Lindsay received her bachelor degree in music education and theater from Saint Mary of the Woods College in Indiana. She taught music at the high school and elementary school levels in Indiana, South Africa, and Jamaica before pursuing her equivalency degree in music therapy from Indiana University-Purdue University Indianapolis. She moved to San Diego from Indianapolis to complete her music therapy internship with MusicWorx Inc. 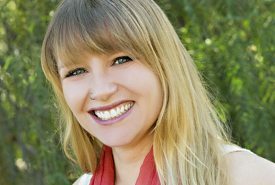 Currently, Lindsay is the Resounding Joy Director of Special Projects, a 200-hour certified yoga teacher (RYT-200), and level-one certified in Healing Touch and Reiki. She is passionate about incorporating her knowledge of yoga and energy therapies with music to create a holistic approach to music therapy for her clients and their families.